Is Jesus the sheep or the shepherd? Genesis 22 tells the story of Abraham sacrificing his son Isaac. For clarity’s sake perhaps we should say almost sacrificing his son. Abraham was willing, able and just about to offer his son Isaac when he was stopped by the Angel of the Lord. Abraham believed God and that belief was counted to him as righteousness in Genesis 15:6. Isaac had been born to Abraham and Sarah in their old age, so Abraham had no reason to question God’s instructions. Hebrews 11 commends his faithfulness, so great that he believed God could restore Isaac to life. An interesting conversation took place as they hiked up the mountain together. Isaac noted they had wood and fire but asked about a lamb to sacrifice. Abraham said that “God will provide himself a lamb.” When Isaac was spared at the last moment, Abraham saw a ram caught by its horns and sacrificed that as an offering of thanksgiving. He named the place Jehovah-jireh or the LORD will provide. As we prepare to celebrate the death, burial and resurrection of Jesus Christ it’s hard to miss the parallels. We have in the Genesis account a father that is willing to sacrifice the son that he loves. They walked up the mountain together. And even though Isaac is ultimately spared we see the ram serve as substitute sacrifice. It was guilty of nothing but its blood was poured out. Now consider the Lamb of God who takes away the sins of the world, and recall the words of Abraham; God will provide himself with a sacrifice. In Deuteronomy 12 Moses reiterates some of the instructions to the Hebrews regarding where and how animals may be prepared and eaten. If they were killing the animal to be prepared as food then the blood was to be poured on the ground. If the animal was being offered on the altar then the flesh could be eaten but the blood was to spilled on the altar. Why? Because the life of an animal is in it’s blood. As we approach the Passion week it’s appropriate to think about some of those Old Testament lessons. Everything about the sacrificial system help us understand what Jesus did on the cross and does now seated at the right hand of God. The design of the tabernacle, the office of the High Priest, the altar, the sacrifice and the blood of atonement all speak to the ministry of Jesus. Read Hebrews 9 to tie it all together. 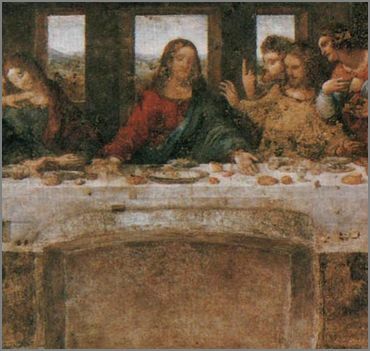 The banner at the top of this page is da Vinci’s portrait of the Last Supper. Renaissance Christians knew that Jesus and his disciples were not white with brown hair and blue eyes. They would not have been sitting in chairs at a table either. Despite the cultural “anomalies” the most important things are still visible; Jesus broke bread and passed the cup. That, after all, was the point. This is Holy Week, the final days leading up to the crucifixion of Jesus. On Easter Sunday we celebrate the resurrection, but these days between Palm Sunday and Good Friday are about remembering the last precious days that Jesus had with his closest followers. This would be the last time they celebrated Passover together, and Jesus still had a lessor or two he wanted to share. During the course of the meal, he gets up from the table and removed his outer robe. 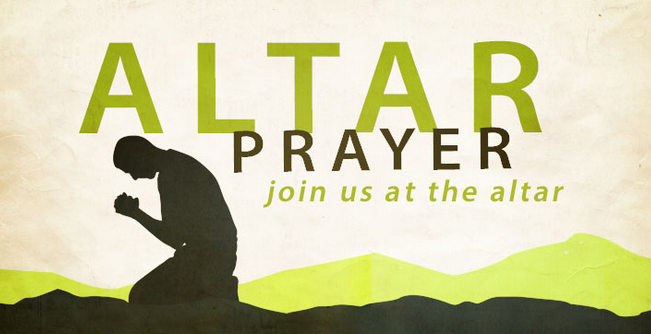 He then ties a towel around his waist, kneels on the floor, and begins washing the disciples feet. We know what happens to our own feet during the summer months, going about in sandals or flops. Imagine wearing sandals everyday and walking everywhere you went. He then asks if they understand why. Jews did not wash feet; feet are unclean, both literally and religiously to the Jews. He was their Master and Lord (and maker of heaven and earth) but he was humble like a servant. If he then, he explains, is willing to wash their feet they should each be doing the same. It is not a literal command to wash feet, but a lesson about humility and service to others. Jesus broke bread to remind his followers that his body was broken. The fruit of the vine in the cup reminds us that his blood was poured out. He said that without taking part in his body and blood we had no part in him. But if we receive the one he sends – the Holy Spirit – then we receive him. And if we receive him, we receive the one who sent him – God the Father. The Hebrews had been celebrating Passover since they were brought out of Egypt. When the death angel saw the blood of the sacrifice it “passed over” that home, sparing the first born. Jesus takes the elements of that meal, and gives them new meaning for his followers. He is the Lamb of God that takes away the sins of the world. When God sees the blood of Jesus on our hearts, his judgement will pass over. I still think starting Bible Survey was a great idea. I wish we were halfway through the New Testament right now instead of still in Genesis, but when were promised everything we want, right? There is just so much to say about Abraham. 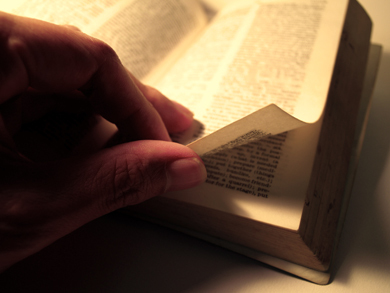 His story runs from Genesis 12 to 25, and I’ve found it hard to summarize or skip anything. 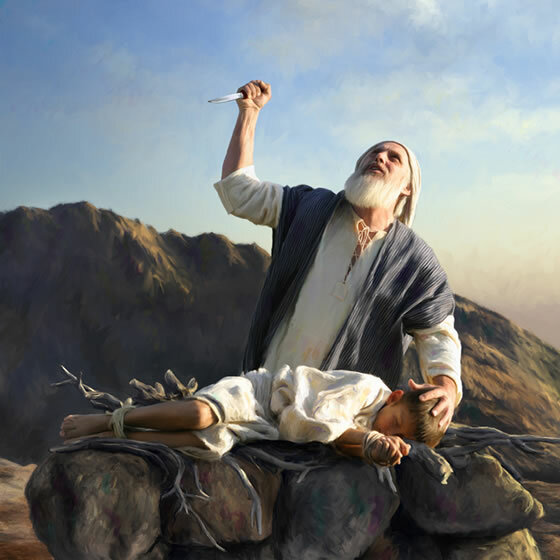 In Genesis 22, Abraham is willing to and almost does sacrifice Isaac. There are some good lessons in the story about God, and they are all about his love and mercy toward sinners, not about him being vicious, cruel or scary. 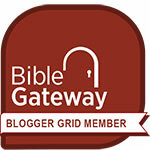 Read Abraham Sacrifices Isaac at Bible Survey.